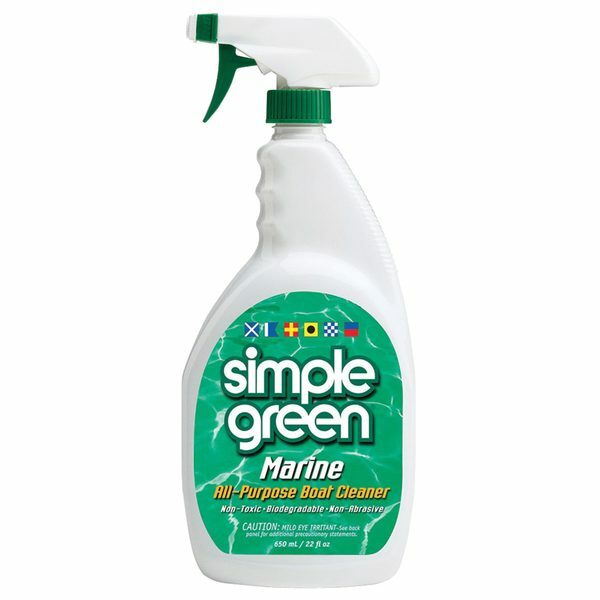 Simple Green Marine, 22 oz. Great for cleaning greasy, grimy bilges and engine compartments. Specially formulated, ready-to-use, all-purpose boat cleaner easily handles tough stains and grime. The non-toxic and biodegradable formula removes grease, oil, diesel fuel, fish blood and more. Also ideal for watercraft, fishing and watersports gear and trailers.